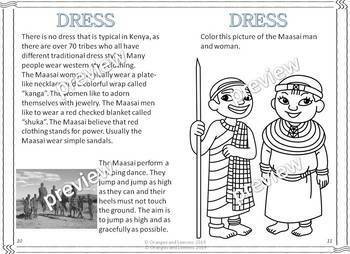 This pack includes a booklet about Kenya (a black and white version and a color version), one color poster and three worksheets. 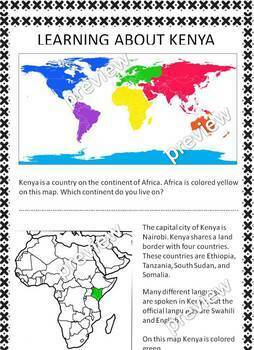 A study of the African country of Kenya in simple language for kindergarten, 1st grade and 2nd grade. 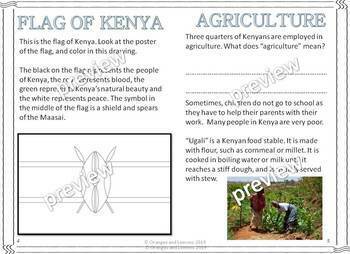 Your students can create an informative 12 page booklet all about Kenya. The non-fiction text is easy to assemble using only 3 back to back sheets (to save paper). There are three worksheets included. Find out what you students already know about Kenya. The informational text provided will help your students complete the booklet. Students can find Kenya on a map. Learn about the neighbors of Kenya, the landscape, agriculture and about the great wildebeest migration. 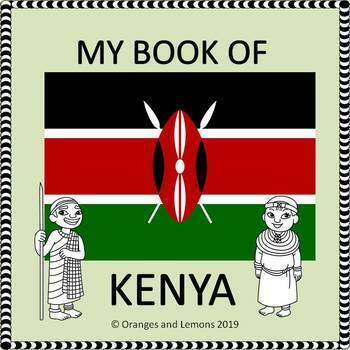 There are simple tasks for them to complete including coloring pictures and the flag of Kenya and drawing pictures and answering simple questions. To visually assist your students a color poster is also included in the pack.